* A world first: hybrid system with 35kW cooling output. * Other highlights: Refrigerant-based solutions with 20kW and 35kW outputs and a new generation of water-based IT cooling systems for environments with high air humidity. * High degree of redundancy ensures the high uptime required for edge solutions. Natural cooling when conditions are suitable: the new LCP DX/FC Hybrid includes both a cooling circuit and a separate water circuit. When temperatures are low, the solution automatically uses indirect free cooling. The core component of this cost-effective solution is an external hybrid condenser with an integrated free cooler. Rittal has added 20kW and 35kW output classes to its portfolio of refrigerant-based IT cooling solutions. As a result, solutions are now available throughout the 3kW to 55kW range. They include a world-first: a 35kW hybrid version that activates indirect free cooling where conditions are suitable, making it very energy-efficient. Compact cooling systems are also available in high-redundancy configurations. These meet the needs of today's IT infrastructure for high uptime, of particular importance for state-of-the-art edge computing solutions where it is necessary to ensure the uninterrupted flow of data. The innovative liquid cooling package (LCP) DX/FC Hybrid includes both a refrigerant circuit (DX = direct expansion) and a separate water circuit (CW = cold water). This means the solution can produce the required cooling output very efficiently in line with the external temperature. It is a particularly cost-effective solution for locations with low to moderate ambient temperatures, as it automatically makes use of indirect free cooling when outside temperatures are low. This is made possible by an external hybrid condenser with an integrated free cooler. The use of indirect free cooling drives down operating costs. The new LCP DX solutions for suite cooling have outputs of 20kW and 35kW and are suitable small and mid-sized environments. Both devices are inverter-controlled, are ideal for cooling IT hardware, and precisely control the server inlet air temperature with a maximum deviation of approximately 2 Kelvin. The cooling output is continuously adjusted in line with heat loss in the rack, minimising energy consumption for cooling, and cutting IT operating costs. 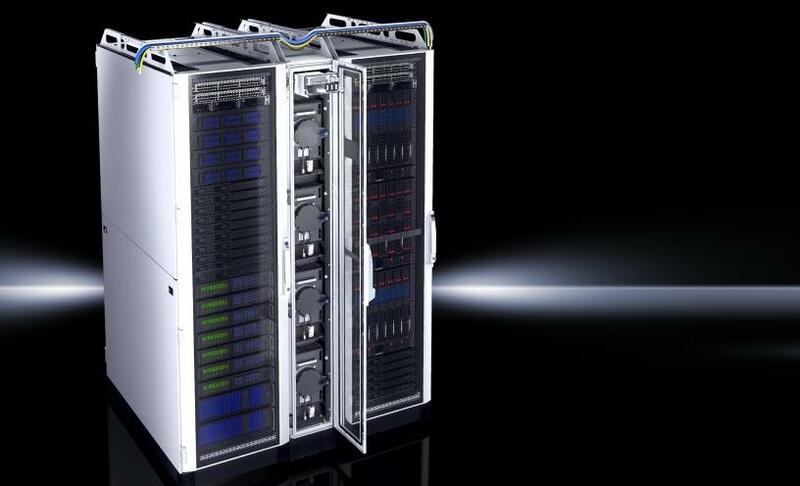 Space-saving choice for high-performance cooling: Rittal's water-based LCP CW rack and in-row cooling systems are designed for high-performance cooling in IT environments. They have cooling outputs of up to 55 kW and a footprint of only 0.36 m^2. High water inlet temperatures allow greater use of indirect free cooling, reducing operating costs. Space-saving rack cooling with the typical "back-to-front" air routing used in IT can be achieved with the roof-mounted cooling unit, even for smaller output categories up to 3kW. The LCU DX IT cooling unit has a similarly compact design and is available with cooling outputs of 3kW and 6.5kW, with or without redundancy. To save space, the internal unit is installed between the 19-inch rack and the side panel. This solution, designed for maximum uptime, has two external units but only one internal unit. Installed in this unit is a heat exchanger with two cooling circuits, two power supply units and two separate controllers. Automatic switchover to the backup in the event of faults or when operating-hour thresholds are reached increases reliability in IT facilities that need to operate round the clock. The system reports any faults to the Rittal CMC III monitoring solution. As a result, it is possible to maximise energy efficiency, as the equipment can cool individual racks, rather than the entire environment. A further equipment category is water-based LCP CW rack and bayed suite cooling systems. Rittal is adding new products to this portfolio, too: IT cooling units with high cooling outputs. These have outputs of up to 55kW and a small footprint of only 0.36 m^2, enabling the best possible use of available space. High water inlet temperatures allow greater use of indirect free cooling, reducing operating costs. The solution can be deployed in conjunction with a heat pump, as the LCP CW glycol coolants used generate high water return temperatures. Deployable in extreme conditions: The LCP CW cooling systems feature improved condensate management, which means they can be used where humidity is high or water inlet temperatures are low. The special features of these units include improved condensate management by means of an innovative spray eliminator employed in some LCP Inline CW models. As a result, this solution is ideal for areas with high air humidity or low water inlet temperatures. Furthermore, a new plug-and-play mount means the fan unit can be replaced without the need for tools. At CeBIT, Rittal will show the diverse usage scenarios of its new cooling solutions, from individual racks to edge computing and high-performance cooling. For example, visitors can experience a compact LCU DX climate control solution deployed in a Secure Edge Data Center (SEDC) up close and in person. 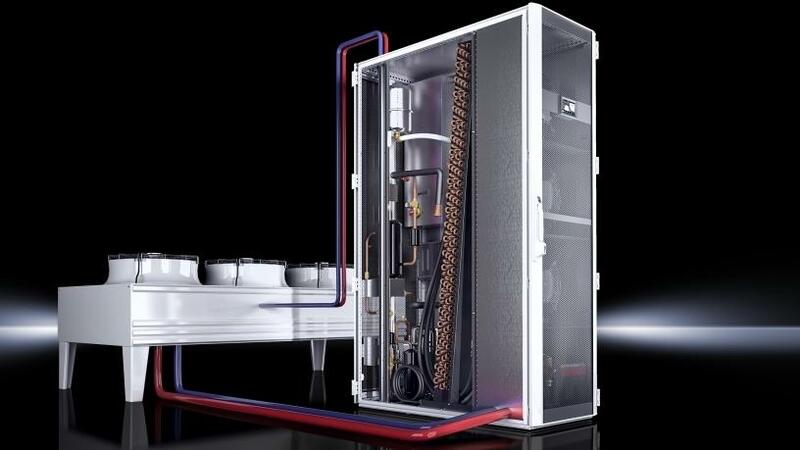 Further information on Rittal's innovative cooling systems and solutions is available at: www.rittal.com/de_de/it-configurator. Rittal, headquartered in Herborn, Germany, is a leading global provider of solutions for industrial enclosures, power distribution, climate control and IT infrastructure, as well as software and services. System solutions from Rittal can be found in more than 90% of all global branches of industry, including mechanical and plant engineering, food and beverages, IT and telecommunications. The wide range of products from the global market leader includes configurable enclosures, whose data is available throughout the entire production process. Intelligent Rittal cooling solutions with up to 75% lower energy and CO2 consumption can communicate with the production environment and enable predictive maintenance and service concepts. Innovative IT solutions ranging from IT racks and modular data centres through to edge and hyperscale computing solutions all form part of the portfolio. 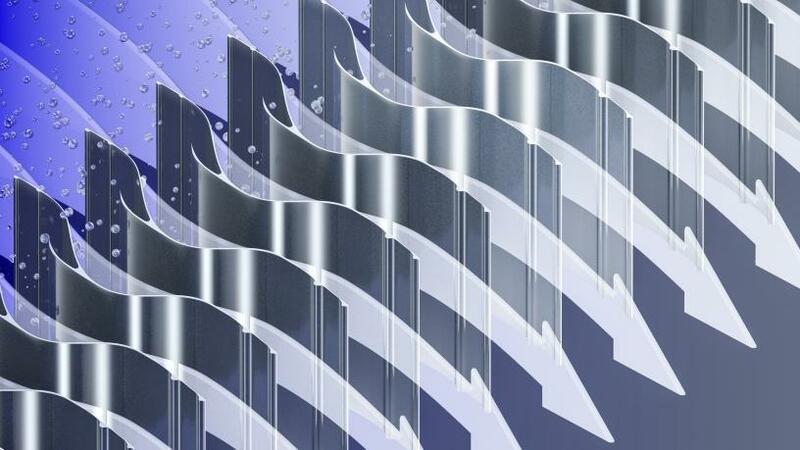 For more information, visit www.rittal.com and www.friedhelm-loh-group.com.